To err is human. But the errors seem to appear at critical times on Sunday during the NFL conference championship games in Kansas City and New Orleans and probably will be talked about years from now. One of the most egregious one came in the Saints-LA Rams game in the fourth quarter when Saints receiver Tommylee Lewis was smacked by Rams cornerback Nickell Robey-Coleman well before the ball arrived. No call was made. No flag. No nothing, even though it was obviously pass interference, or even a helmet-to-helmet infraction. The game was tied and if the PI was called, the Saints most likely would have gone in to score. As it was, the Saints settled for a field goal and the Rams went back down the field and sent the game into overtime with a field goal. The Rams then won in overtime. 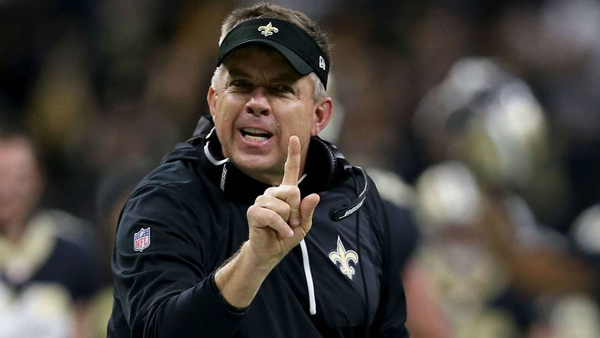 Saints’ coach Sean Payton could be seen blowing his stack, and he continued to yell about it for some time. After the game he again said the referees blew the call. He called the league office and apparently the referees admitted they blew the call. I honestly don’t know how they could have blown such an obvious infraction. Millions on TV saw it. But that’s football. If referees wanted to, they could call holding on every snap of the ball. It would make a travesty of the game if they did. And I don’t really know what PI is and is not anymore. Defensive backs and receivers hand-check each other all the way down the field. Is that PI? No. Apparently it is not. Not all the time, anyway. Another controversy developed in Kansas City when punt receiver Julian Edelman appeared to touch a punted ball and the Chiefs took the muffled punt into the end zone for a touchdown. In a review of the play, the officials overturned the call and decided the ball did not touch Edelman. From what I and others watched on TV it appeared that the ball touched Edelman’s thumb. Apparently not. There was another questionable call on the Chiefs. In the fourth quarter on second and 7, Chris Jones is seen slapping Tom Brady across the shoulder pads and chest. Jones was called for a 15-yard penalty for roughing the passer when it clearly was not. Brady then drove the Pats down the field for the go-ahead touchdown. There were other questionable calls in both games that we could debate for hours, but I have to say that the two games – both going into overtime ‑ were very good entertainment and clearly pitted four good teams against each other in exciting do-or-die moments. Brady is without question the best QB by far in his era. He has an uncanny ability to quick rid himself of the ball and throw right on target to his receivers, especially Edelman who looked like Superman making catches and getting blasted by defenders and still hanging on to the ball. For four quarter young and very impressive second-year KC quarterback Patrick Mahomes went toe-to-toe with Brady and if the flip of the coin at the end of regulation had gone to KC instead of New England, the outcome might have gone to the Chiefs. It was a brilliant display of quarterbacks—young and old. Super Bowl LIII — New England versus Los Angeles Rams – on Feb. 3 in Atlanta should be a dandy. It pits one of the best coaches ever, Bill Belichick, now in his 20th year as coach of the Patriots, against a young upstart, Sean McVay, who at 32 is the youngest NFL coach, but has a mind for football that might match Belichick. Now if the referees get the calls right, we should expect a donnybrook.